Who says Orlando is for kids? Certainly not me. My friends don’t think so either which is why I’ve written a series of posts about my recent trip to Orlando to help them prepare for their upcoming trips. Below is a helpful guide to plan your visit. Purchase tickets through Undercover Tourist. They are a certified discount reseller of Disney World / Universal Studio tickets. Plan what you want to do ahead of time. Hopper tickets or no hopper tickets? It completely depends on what you want to do and how much time you want to spend in each park. K and I got hopper tickets. Check for Extra Magic Hour days at each Disney park. We actually avoided parks on the days with Extra Magic Hours because they’re known to be more crowded. Hotel – K and I booked a room at the Embassy Suites because they offer free parking, complimentary breakfast and a shuttle to and from the Disney parks. While it seemed appealing, the hotel was extremely old and outdated and the shuttles didn’t come as often as we liked. We ended up renting a car and paying to park in the Disney lots. ES also did not have a shuttle to Universal Studios, so we drove and parked in their lot for $15. Flight – We found a pretty good deal on Virgin. We used Hipmunk to track ticket prices and purchased when prices were low. Car – I booked through Costco Travel. I checked Hotwire, Priceline, and all other deal sites, but nothing could beat the prices at Costco. The Disney resort also houses a few car rental shops in case you wanted to rent a car for the day (i.e. go to Universal for Harry Potter World!). Transportation between Disney World parks – Travelling from park to park is extremely convenient in Disney World. So efficient that K and I were able to do 3 parks in a single days. Here’s Disney’s transportation map. Monorail – The Disney monorail travels to and from the Transportation and Ticket Center (TTC), Magic Kingdom, Epcot, Contemporary Resort, Grand Floridian and Polynesian Resort. Complimentary Shuttle Busses – For all other parks, you can take Disney’s free shuttle busses which come every 5-15 minutes to each park and Disney resort. Parking – Daily parking is $14 (as of Dec 2012) and each pass comes with in and out privileges, meaning that you could technically drive to each park if you wanted. The only park you can’t exactly drive to is the Magic Kingdom. To go to MK, you’ll need to park at the TTC and take the monorail over. 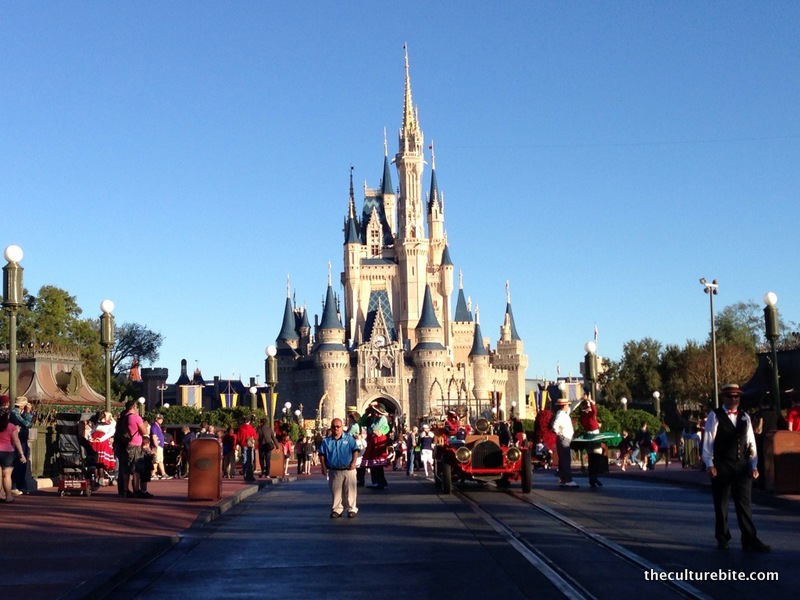 Disneyland vs. Walt Disney World - What's the difference?